We have appointed two new specialists to join our team, following a series of client wins. Ellys Bagnall, former Leeds Beckett University Public Relations and Journalism student, joins Hotfoot as marketing associate. Having previously worked in digital marketing for the National Trust, Ellys will be tasked with creating engaging content for clients and supporting with the marketing of Hotfoot’s recently launched online gift voucher platform, Vouch. Emily Fell has also joined Hotfoot as graphic designer. Emily brings experience in the hospitality and leisure sector to her new role, and will support the senior design team in creating brand identities and print design across the agency’s client portfolio. 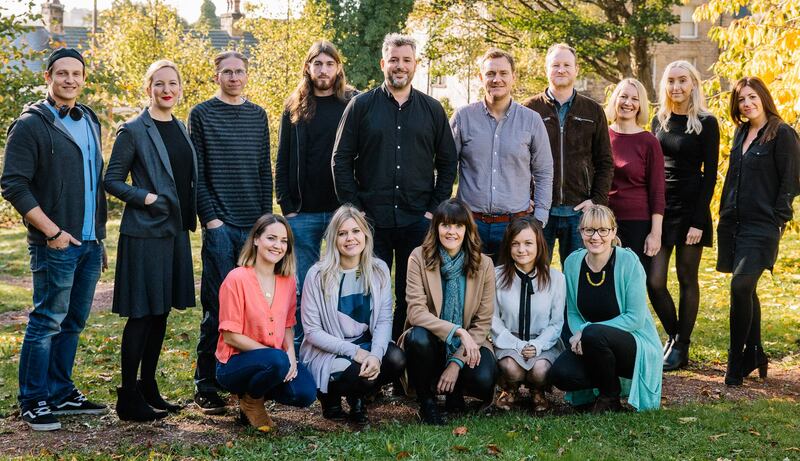 The new appointments takes Hotfoot’s team to more than 15 specialists working across a variety of sectors, including hospitality and leisure, luxury retail, B2B and tech. Hotfoot Design’s recent client wins include Bowker, Breathing Space, Cornthwaite Group, Lakeland Kitchens and the Plough at Lupton. The agency has also just launched Vouch, a website enabling users to discover gift voucher experiences from a variety of businesses in Lancashire and the surrounding counties, following the successful launch of gift voucher platform Regalo two years ago. This entry was posted in Brand Design, Cumbria, Design, Digital, Gift Voucher Platform, Hospitality, Hotfoot, Lancashire, Lancaster, Marketing, News, Social Media, Strategy, Team and tagged designer, Ellys Bagnall, Emily Fell, hotfoot, marketing, Vouch on 5 Dec 2018 by Stacey Waugh.